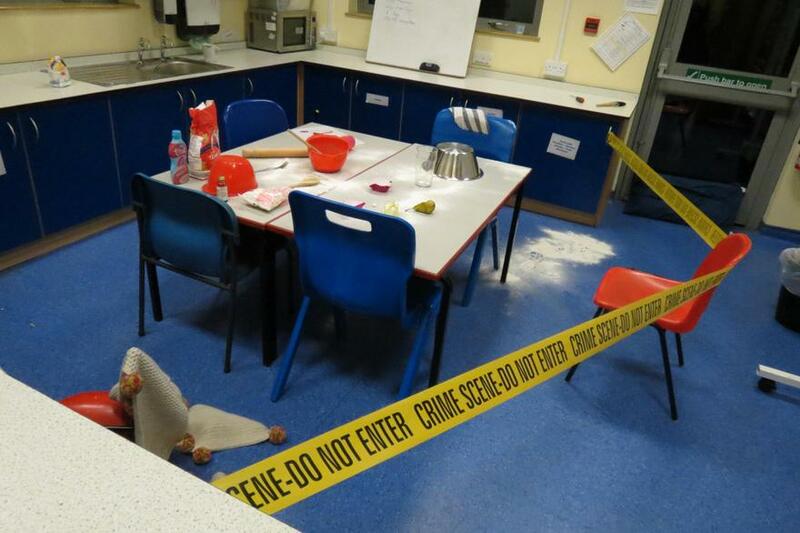 Our C.S.I topic on 'Crime and punishment' through the ages began with an unusual start. 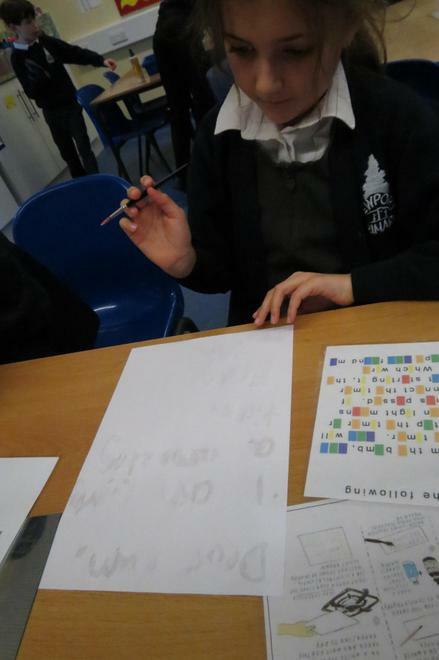 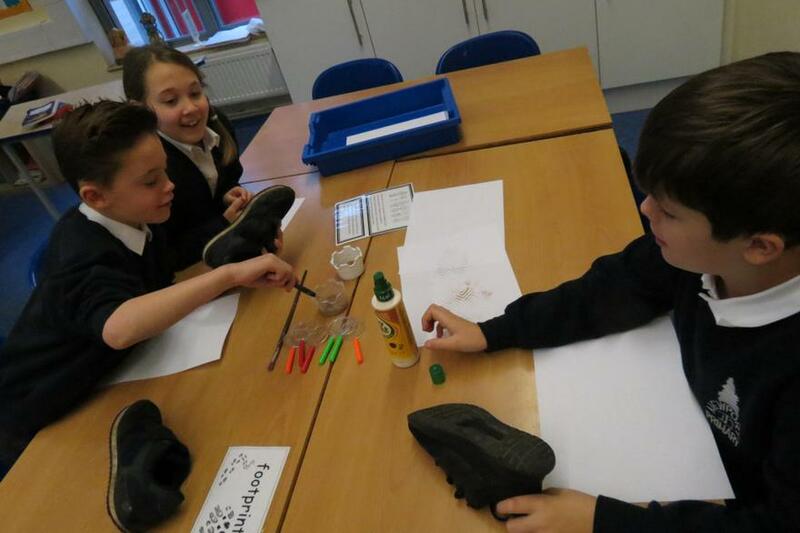 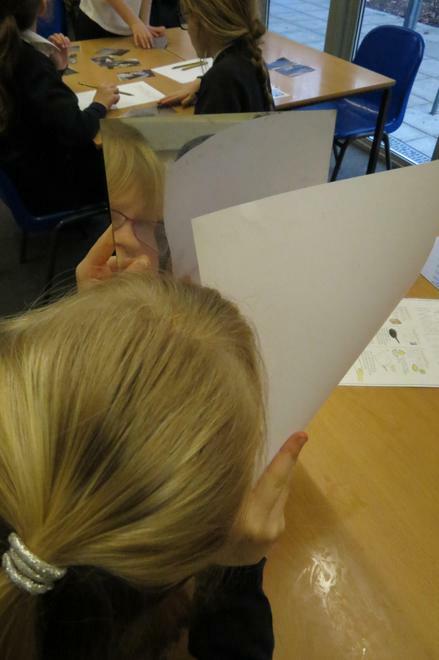 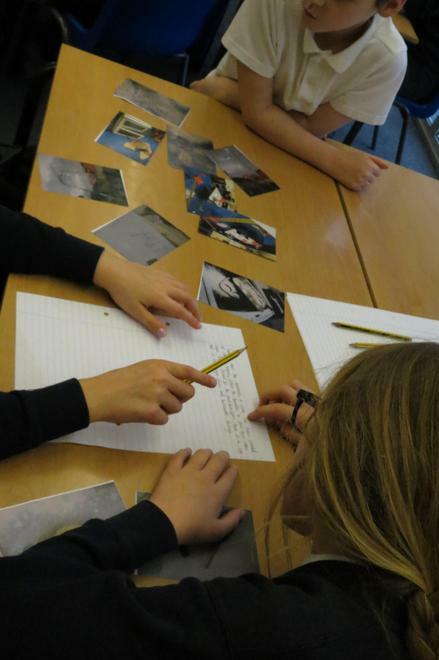 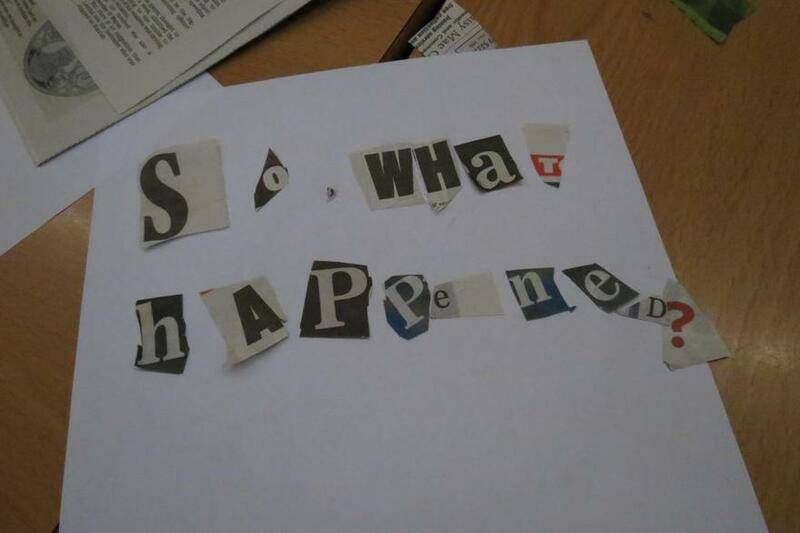 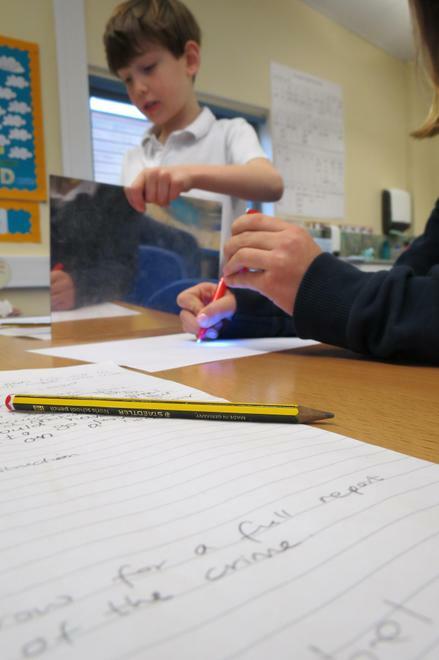 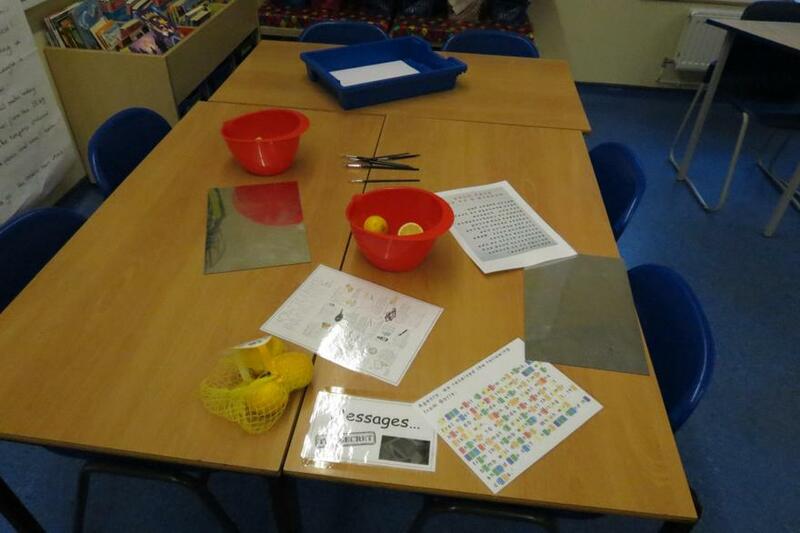 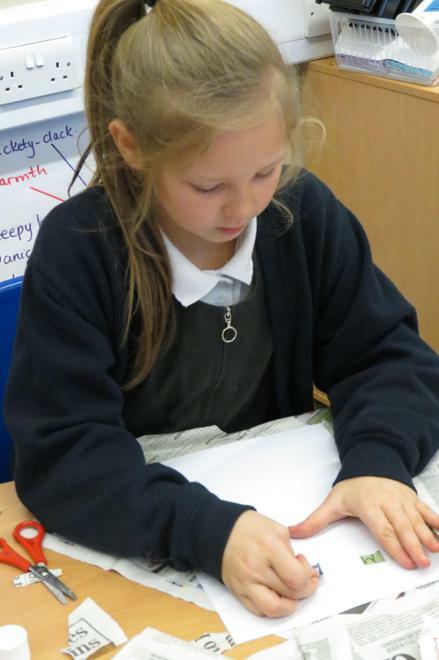 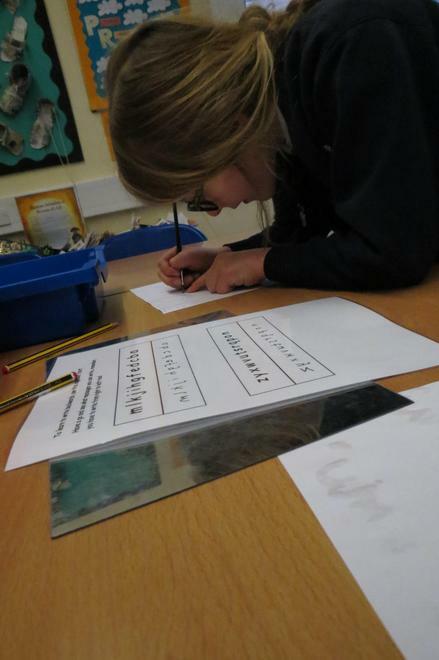 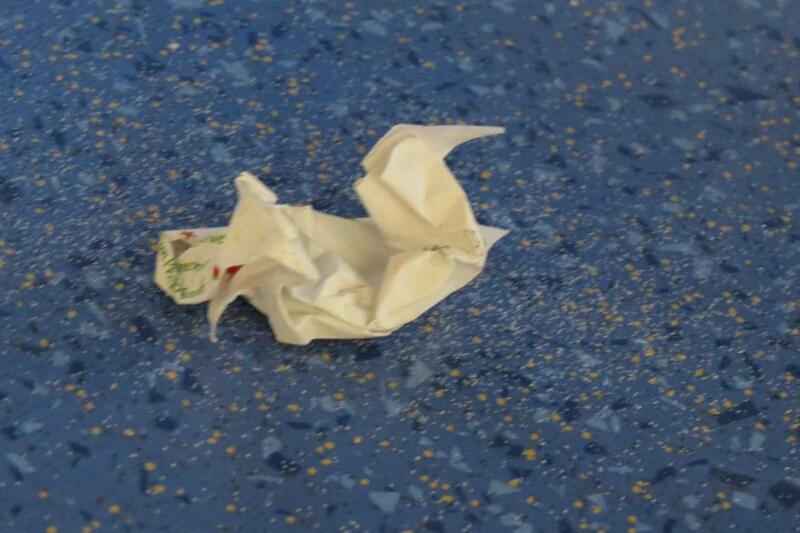 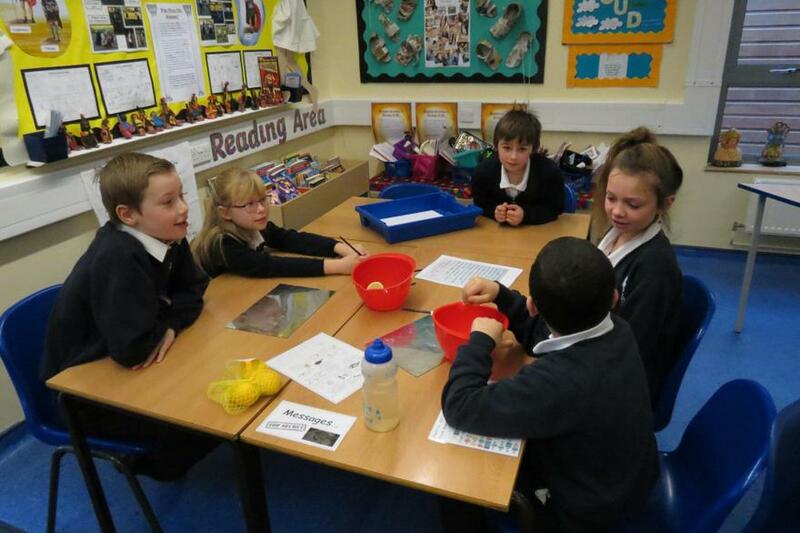 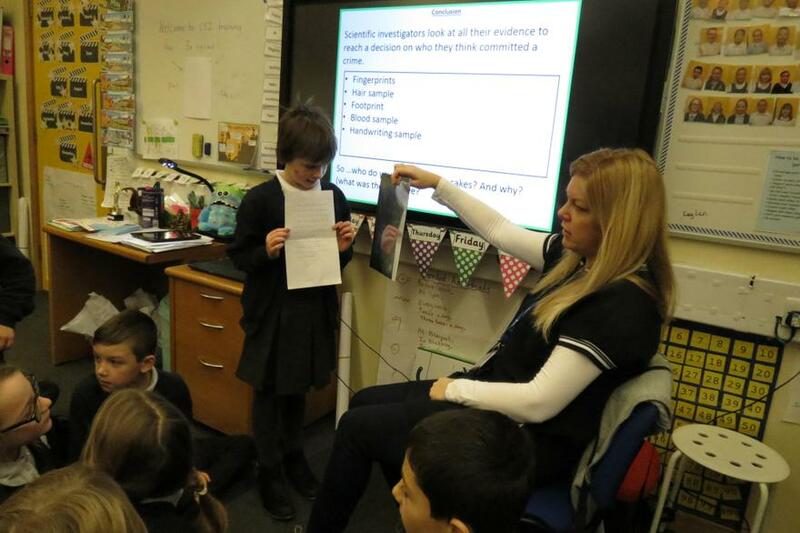 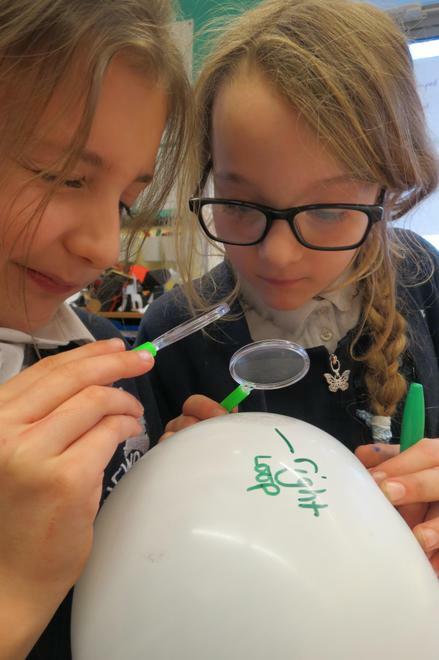 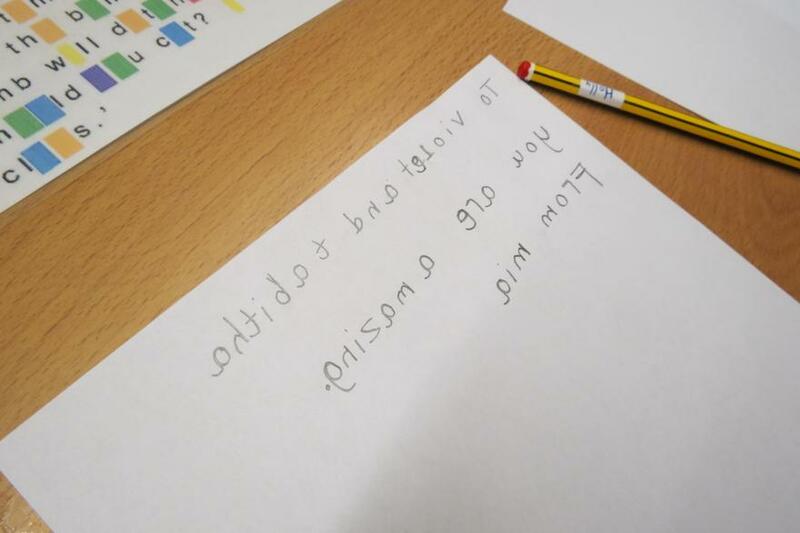 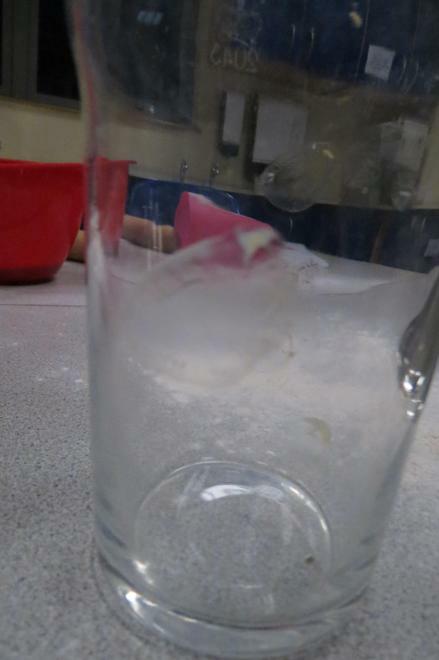 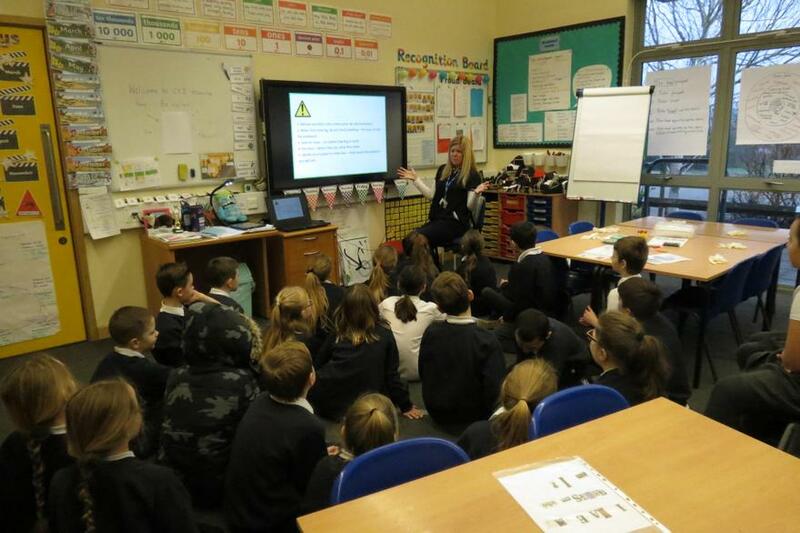 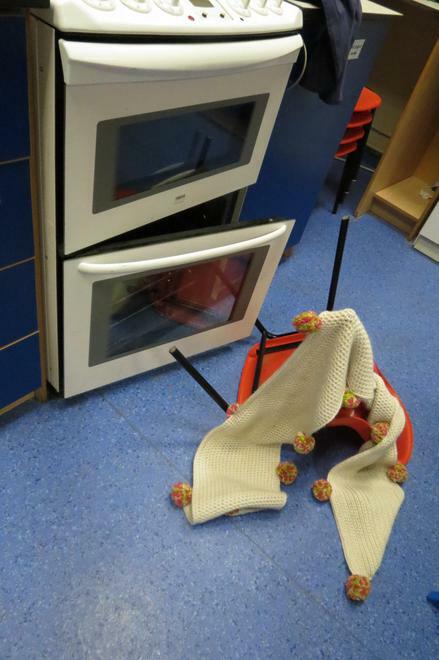 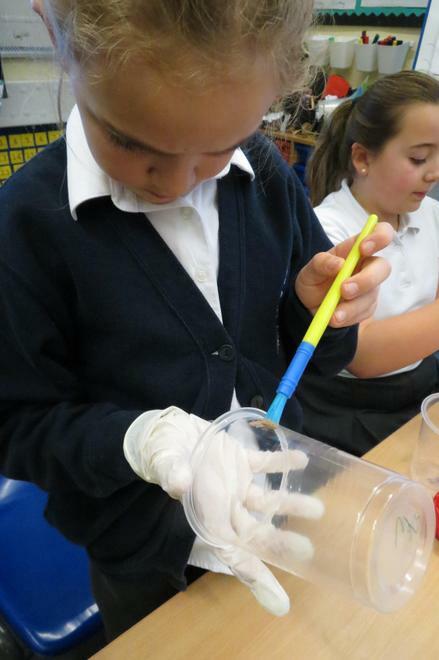 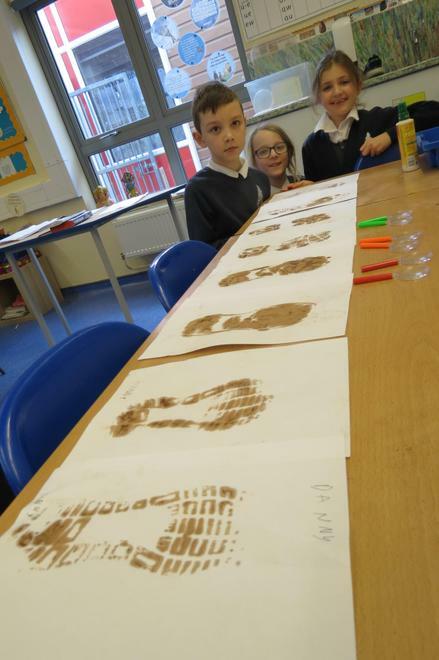 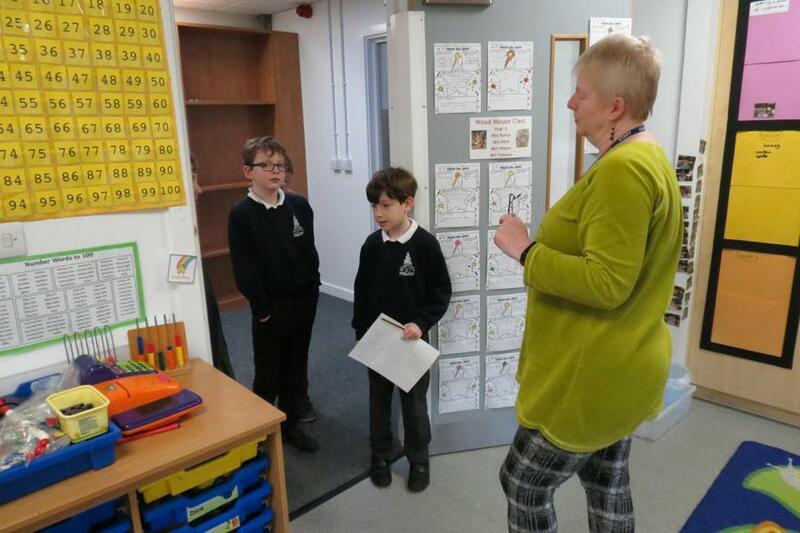 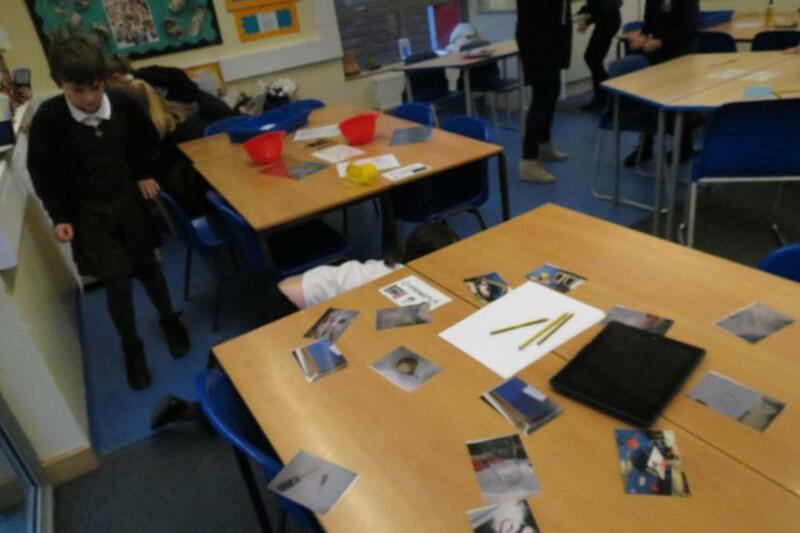 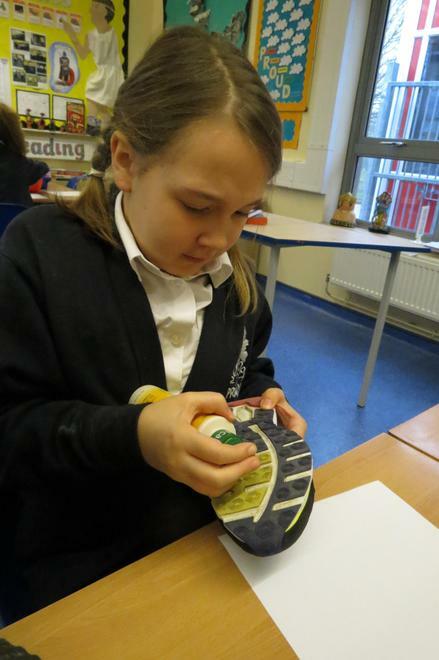 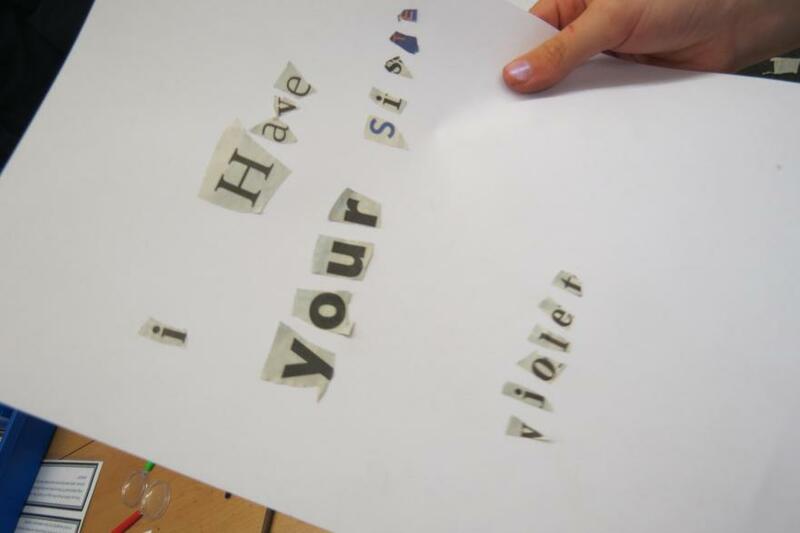 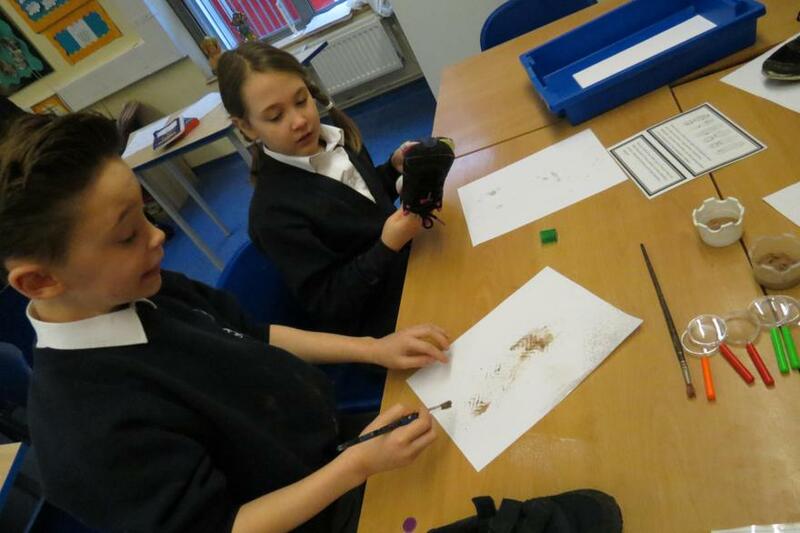 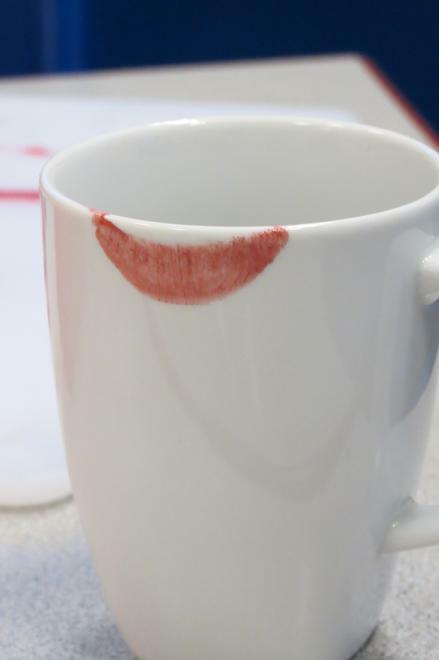 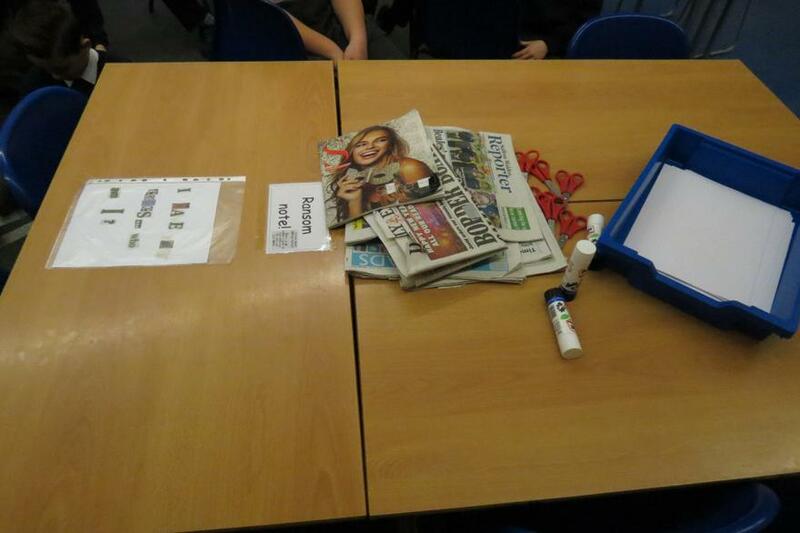 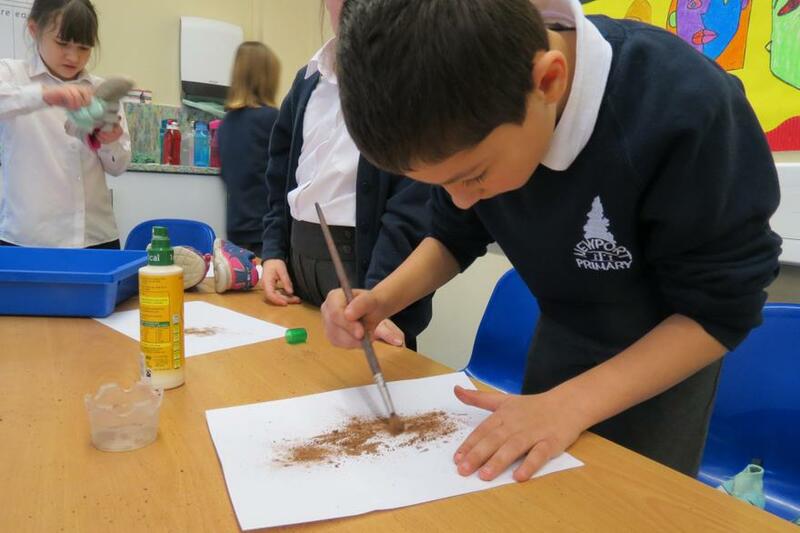 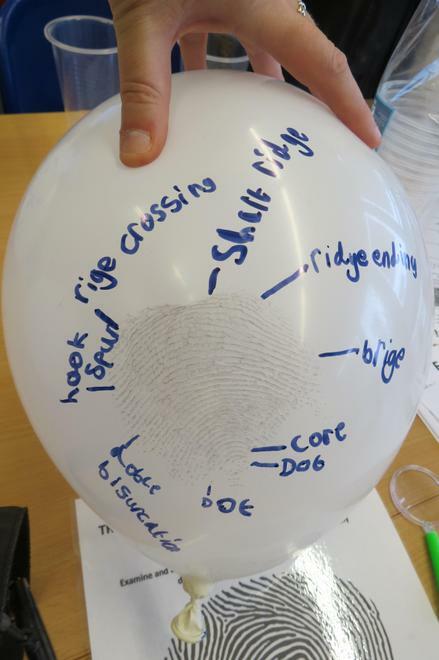 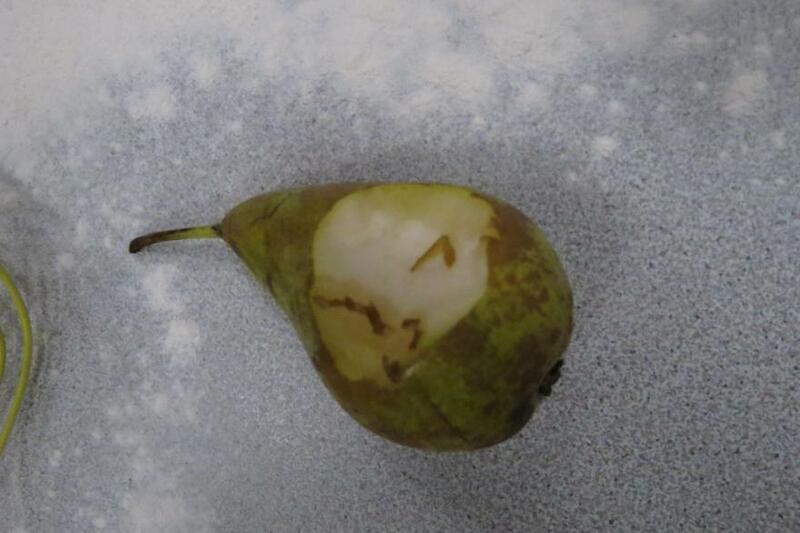 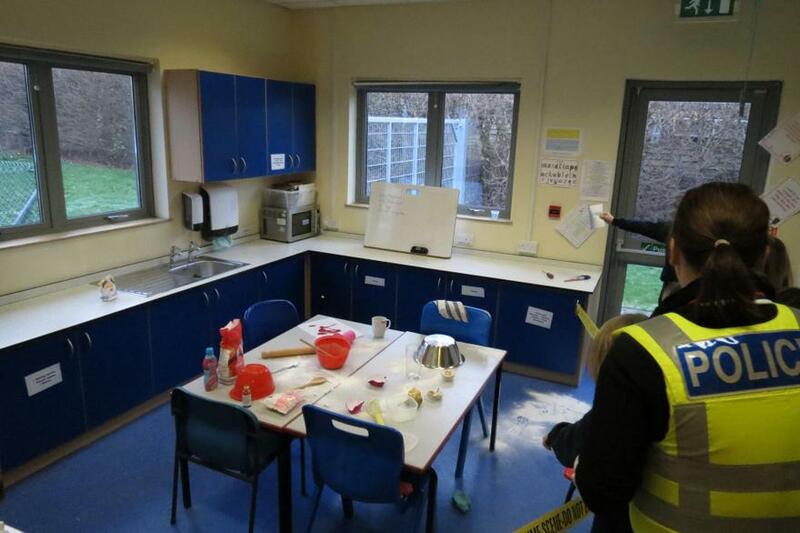 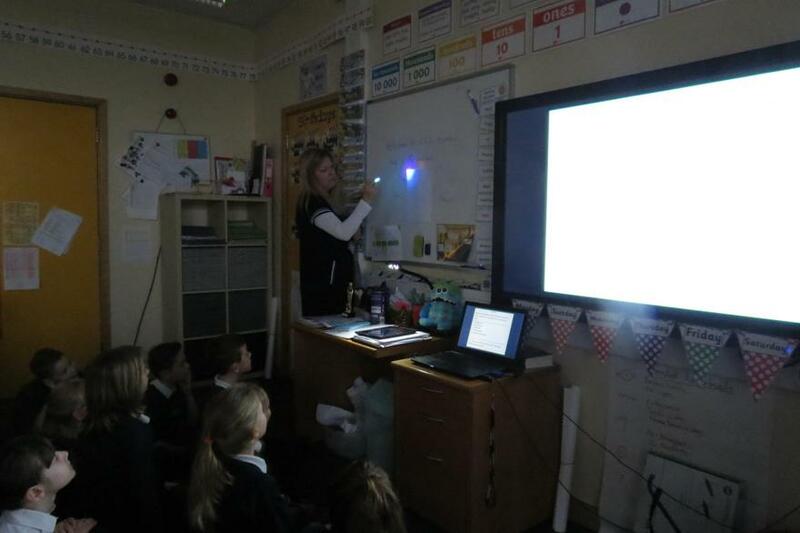 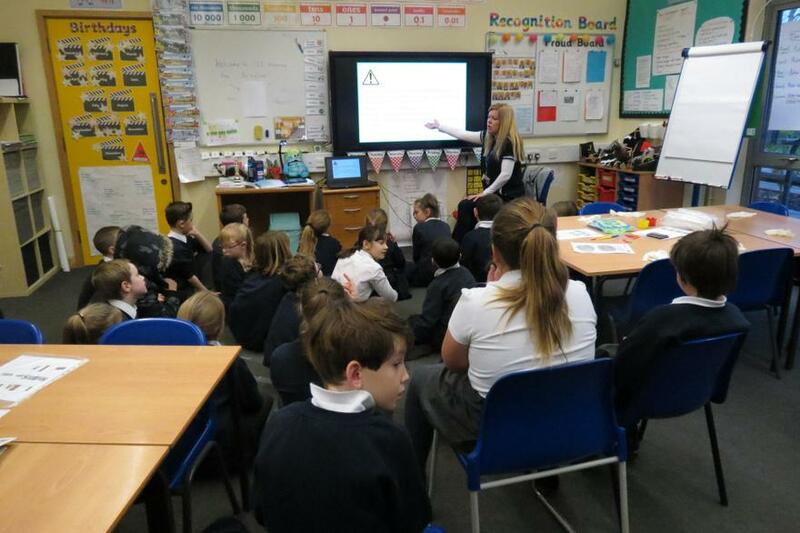 Miss Chandler prepared a mock crime for our WOW day on Friday and when she returned to school on the Monday morning, a 'real' crime had indeed occurred... so it was up to the children to investigate the crime! 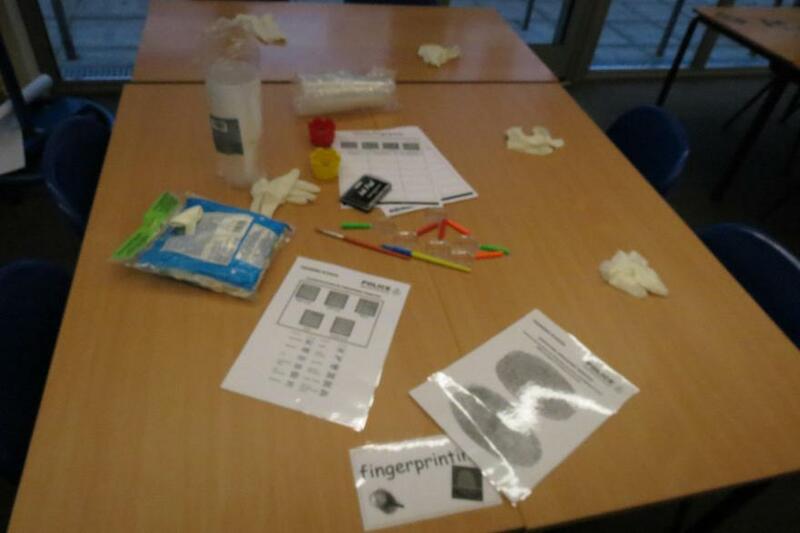 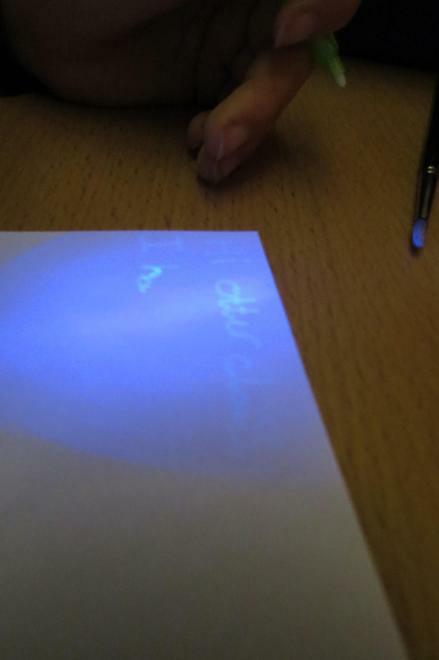 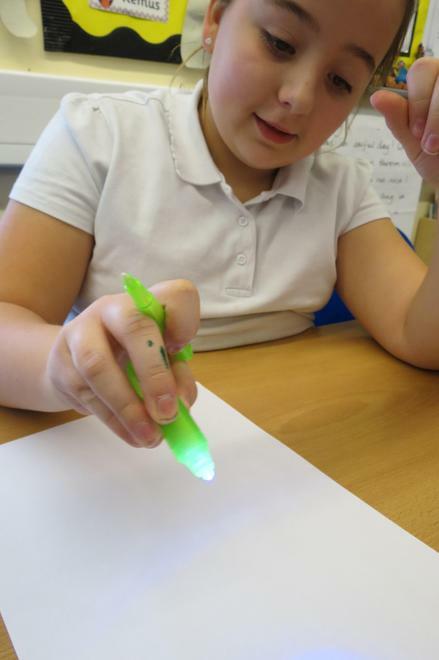 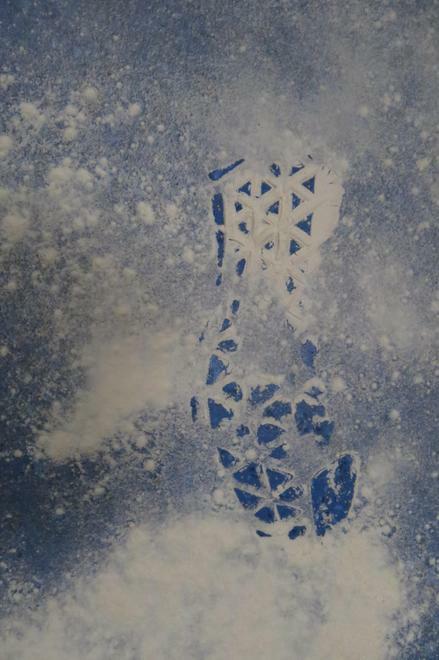 A fun-filled day was had by all as the class learnt fingerprinting techniques, dusted for shoe prints, created a 'Crimewatch' style newsreel on the IPads, made 'ransom notes', learnt to write in coded ways and surveyed the crime scene - taking notes, interviewing suspects and taking witness statements. 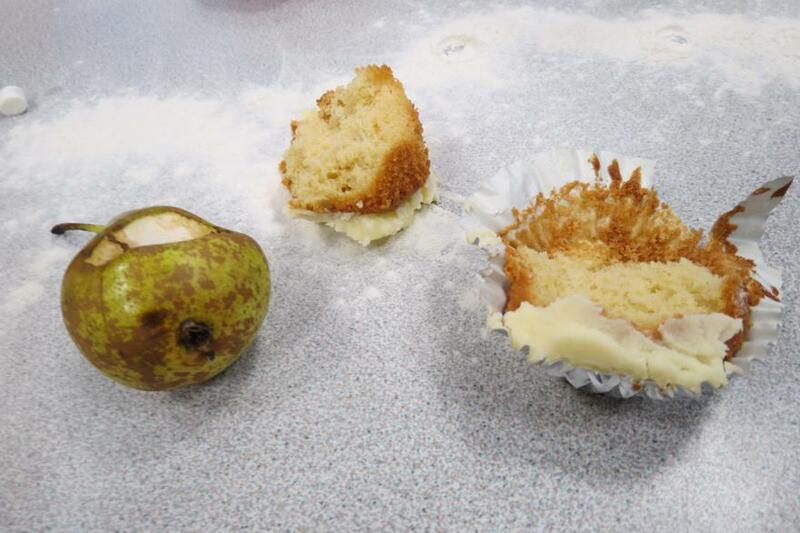 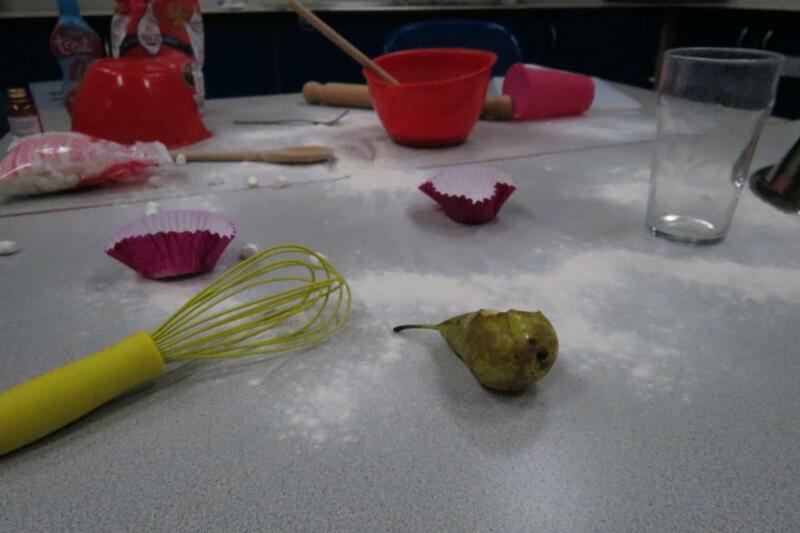 Needless to say, through careful analysis and techniques, we found our culprit and enjoyed the cakes that Miss Chandler had made for the class.